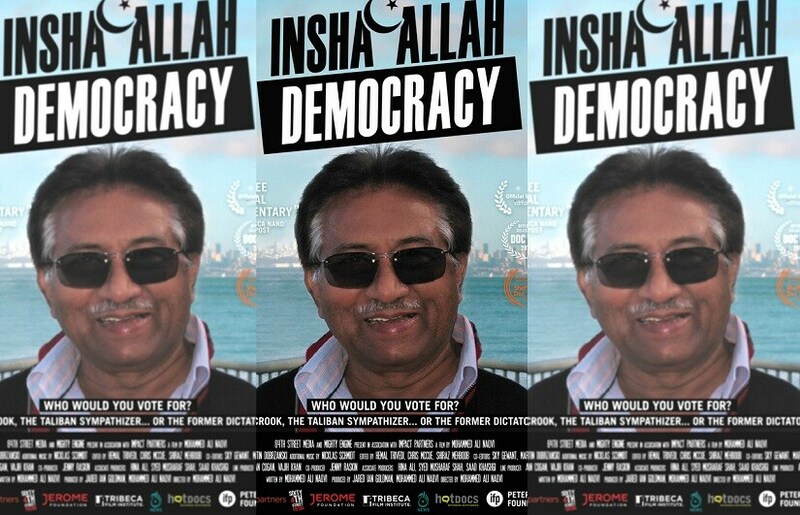 A young Pakistani’s political dilemma, the point of view of a Shia, and the complex choice between democracy and dictatorship are at the centre of Mohammed Ali Naqvi’s seventh film, Insha’Allah Democracy. Naqvi too, is part of the film’s journey, and his camera follows former dictator Pervez Musharraf’s life in exile and his eventual return to Pakistan to fight elections in 2013. It thinks aloud about many issues that Pakistanis have faced since 1947, when it comes to politics, terror, minorities, security, elections, and life in general. The film gets disarmingly close to Musharraf, who often drops his guard while talking to Senators in the US, while expressing his own views on India, or his dilemma with regards to supporting the war on terror and denying that he ever knew Osama was hiding in Pakistan. It presents a human portrait of the dictator, though Naqvi is under no illusion about the army or dictators; he puts his money on democracy. The film will be commercially released this summer and also in Pakistan, if it is cleared by the censor board. In this conversation with Firstpost, he talks about the intimate relationship he shared with Musharraf, as well as the way his political opinions have changed over the years. Tell us about your journey as a filmmmaker. I was born in Montreal, Canada, in 1979 and my family moved back to Karachi, Pakistan when I was three years old. The Pakistan I grew up in was drastically different from the one my parents experienced. Their Pakistan was more tolerant and open; my Pakistan was defined by instability and violence. My family belongs to the Shia Muslim minority in Pakistan, and our community was being targeted by right-wing Islamist extremists. When my uncle was murdered in the 1990s, my family began hiding in the US for long stretches of time until things calmed down back home. My pre-adolescent and early teenage years were spent going back and forth between New York and Karachi. These two cities are entirely different worlds, and I never felt that I "fit in" in either place. Consequently, (and at the risk of sounding cliché), like many artists, I felt alienated as a youth and romanticized the idea of being an 'outsider'. Before this point, living in New York, my Pakistani heritage, or being raised Muslim was irrelevant to me. Like many bi-cultural people, I lived a fairly compartmentalised life, adapting to my environment as needed. 9/11 put a stop to all that and forced me to be fully present. It was the first time in my life I really felt demonised for being a Pakistani or Muslim. This is when I began to take an interest in the medium of non-fiction to explore stories. I partnered with a friend and another first-time filmmaker Sharmeen Obaid-Chinoy (an Academy Award winner) to make Terror’s Children. For me, it was a chance to go back to my home country and really explore the Muslim identity. Did your Shia identity and the resulting vulnerability motivate you to make this film? Or was it a result of other factors? Can you tell us about the situation you live in now? My Shia background was one of many factors that motivated me to pursue this story. Growing up as a Shia Muslim minority in Pakistan, I always felt unsafe. I wanted Pakistan to be a modern democratic state, and I also wanted to feel safe and secure. When military dictator General Musharraf came to power in a coup in 1999, I was nineteen. His rule meant safety and secularism. I saw things change. For me, Musharraf was a hero. I wasn’t going to let the fact that he was a dictator mar that image. Soon after he resigned and went into exile, Pakistan was plunged into chaos. It was one of the most dangerous times in our country’s history. The democratically elected government that followed him proved woefully incompetent to deal with some of our most pressing issues, including terrorism and security. So when it became known that the former military ruler was running for election, the news was impossible to ignore. All other candidates lacked any firm stance on the growing religious extremist element. Supporting Musharraf was only natural. I started making this film in 2010, working on and off over the next few years until 2017. As documentary filmmakers, we are voyeurs — we turn our cameras outwards and observe our subjects. In that vein, I began with the simple premise of documenting a fallen leader’s attempt at a political comeback. But something happened in the course of making this film — I turned the camera on myself. When Musharraf opened up to me, we began forming our own friendship. That is when the story started changing. It wasn’t just about him anymore, it was about me as well. I wasn’t just a fly on the wall, I was an active participant — a potential voter. I was in the unique position of observing a potential candidate first-hand, but more than that, I had to do the difficult task of unpacking my own story, which had informed my politics. Ultimately, it became my personal journey of political maturation and voting for the first time — personally engaging with a democratic set up. Voting for the first time wasn’t just about me and my wants; it was a transcendent moment. It was a milestone for Pakistan, and for me personally. All Pakistanis were taking a chance on democracy and ourselves. We were going to be our own saviours, not the military or some outside force. It was the first time in my life that I had a say in my country's governance. It was empowering for me and I felt a shared experience with other Pakistanis. Now we are heading towards elections again. Is the situation a mess? Certainly. But what people forget is that democracy is a long self-correcting process. We don't need some authoritarian saviour to step in and save us, we need to participate more in the democratic process. For how many years did you track Musharraf with your camera, and why did you choose this format? How easy was it to get so much footage? I have chosen to portray people that are in some way lost, and their narrative journeys are about finding themselves. Ultimately, all my films are about my own journey of self-discovery, and Insha’Allah Democracy is no exception. Musharraf came into my life at a time when I was going through my own process of spiritual growth. I still exhibited the lingerings of post-adolescent ennui. I had a strong sense of disillusionment at the state of affairs in Pakistan and was having a difficult time reconciling this with any sense of patriotism. Coincidentally, Musharraf was going through his own process of metamorphosis. Here was a man, who at one time was one of the most powerful men in Pakistan and he had helped shaped contemporary history. Now, he was licking his wounds in self-exile, and taking on the herculean task of running for election in a country that had still not forgiven him. And perhaps, in a strange way, because we met at this time, we became fast friends. Growing up, I used to adore Musharraf. I thought he was the only genuine leader we ever had. He did wonders for our economy, he seemed liberal in his outlook, and most of all, he was capable of good governance and keeping the country on an even keel. But everything I knew of him was distilled through the news or headlines. I actually got to know him personally once he left office. I witnessed major turning points as he campaigned in the lead up to the first civilian-to-civilian transfer of power in our country’s history. When troubling news reports surfaced of Osama Bin Laden being caught, he confessed to me his own role of covertly supporting militancy as a means of fighting a proxy war with India. I realised that he didn’t think he owed his people the truth. Despite his liberal and secular outlook, he was a dictator at heart — a dangerous flaw in a leader. I shot the film myself, most of it with a handheld camera. I wanted my time with Musharraf to feel deeply personal and intimate, as if the audience were voyeurs. To achieve this fly-on-the wall perspective, the visual aesthetic had to be rough, amateurish, and gritty — almost as if it was a home video. It was through this that I was able to achieve the raw intimacy I was looking for in Musharraf, and with other subjects I filmed. Since almost everyone I filmed was a political figure, I wanted to show another side of them — one that was markedly different from the carefully constructed persona showcased in a sterile TV studio or newsroom set. 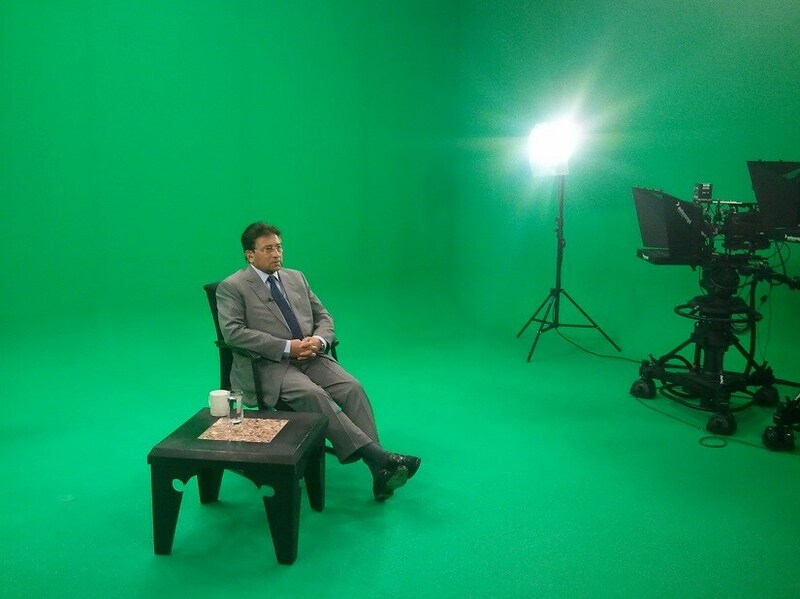 When filming with Musharraf, it was only me. Despite the technical difficulties of shooting this film alone without an extensive crew, it was still necessary to preserve the intimate dynamic I had with him. If I had brought in more crew, my subject's behaviour would have totally changed. I didn’t know that I’d be following him for five years. I was upfront at the beginning and said this is not going to be some propaganda piece. He is a military dictator, so you obviously have that kind of apprehension, but he was just so nice and so hospitable and friendly. He was on Facebook and having trouble with his computer, so I helped him. He reminded me of an uncle of mine, so we connected and hit it off. I’ll leave it to the viewer to decide whether I was being manipulated or not. I purposely bring that question up because I wanted people to go through the same trajectory as I did. He was my saviour when I started this film, and I was in a different place by the time the film was over. Has the film been screened in Pakistan and elsewhere? What has been the reaction? Some people have said that it focuses too much on Musharraf too much. As proud as I have been of my previous films, I have also been conflicted. On the one hand, I am thrilled that my films are having an impact and raising social awareness in my country and community. On the other hand, I am not blind to a few warranted criticisms I receive as a filmmaker of colour from my own country. Some accuse me of "poverty pimping", others accuse me of pandering to a naive Western narrative, perpetuating an insidious Orientalism. I wanted to change this with Insha'Allah Democracy. I wanted to make a film for myself, and my country — bereft of Western political narratives. This is my most honest film. We had only one showing for our premiere at Sheffield International Documentary Festival June 2017. The day before the screening, I distributed my allotment of tickets to Pakistani cab drivers. They were kind enough to bring other Pakistani and Indian friends. This was one of the most satisfying screenings of my life. Some of the immigrants loved it, and some were enraged. The QnA was electric, and much of the audience was arguing among themselves. It thrilled me that my film was able to have this reaction — one that was grounded in our story, not filtered through a Western prism. Since then, the film has been nominated for a few awards and been screened in several festivals the world over. I have shown the film in Pakistan through private underground screenings and those have been the best screenings yet. 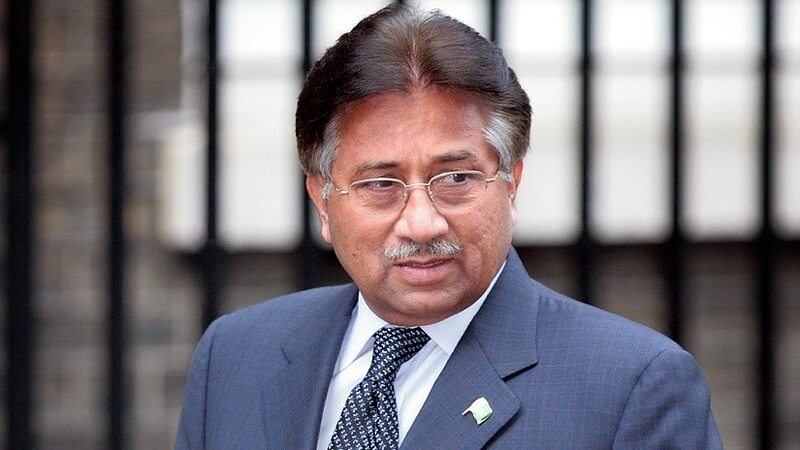 I expect strong reactions — Musharraf, after all, is a very polarising leader. And just as this film chronicles my own point of view and unpacks my political thinking, other Pakistanis have their own valid view points that are entirely different from mine. The fact that the film warrants extreme reactions from the audience and that I am able to inspire dialogue makes me enormously proud as a documentarian. You voted for the first time in 2013, for the Opposition. You seemed optimistic then, but do you feel the promise of democracy has been fulfilled? Making this film has taught me that military rule, even when secular-leaning, comes with long-term repercussions that are seriously damaging. When you ban political parties in Muslim countries, suppressed voices have only one outlet left for socio-political discourse — the Mosque. Like many instances of faith-based politics, the repercussions in Pakistan have been violent. A movement of Islamic extremists wreaked havoc with security, and those with a minority perspective or identity felt particularly unsafe. This is what I learnt during the course of making this film. And even when Nawaz Sharif, a right-leaning religious hard-line sympathiser, was elected in 2013, I knew better than to pray for another military coup. There was a strong opposition against him in parliament, and I was seeing that democracy was beginning to strengthen as an institution. This lesson I learnt while making Insha’Allah Democracy directly echoes the recent global shift that has dramatically come to the fore in events of the last few years. The election of a US president espousing a strong nationalist, anti-immigrant agenda took the world by surprise. The growing polarisation in American society is reminiscent of Pakistan’s struggle with its growing extremist, right-wing rule. I saw many of my American friends and colleagues rushing to join demonstrations protesting the Trump election. While I agree with their political beliefs, I am reminded of the lesson learned in Insha’Allah Democracy: that democracy, based on a continuous participation by citizens, it is the only long-term solution. Furthermore, the conservative political forces of Western superpowers like the US have also historically supported military dictators in Pakistan. Although their goal has been to curb militancy in the world, the US has actually exacerbated it through their bungling policy. Insha’Allah Democracy offers a different solution: empower pluralistic Muslim voices to combat extremist ideology. Instead of rushing to the quick-fix of military rule, it is only through helping strengthen democracy that middle-ground political voices can finally emerge in countries like Pakistan. Why did you think Musharraf would protect minorities? And at what particular moment did you think he wouldn’t? Musharraf is enigmatic in that regard. I believe he genuinely wants to empower minorities, and even today, he enjoys support from some minority groups. He passed legislation that was progressive and empowered minorities during his tenure. And overall, he is more secular in his outlook. But on the other hand, he is an army man. 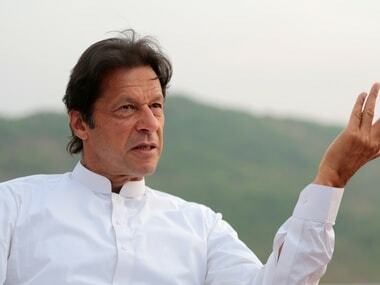 And his genuine intentions of peace and empowering minorities are undone by his own views of supporting militant groups as a form of geo-strategic policy against India. With respect to India, he is rather clear about using tactics of terror. What are your comments on Indo-Pakistan relations right now, and the situation of Kashmir? Indian-Pakistani relations are at a low point. Our intelligence agencies have been at each other’s throats for decades. Both countries' politicians and leaders have contributed to toxic nationalist rhetoric demonising each other for the purpose of political support. And in the meanwhile, Kashmiris have suffered appalling human rights abuses. I think each country has to look inwards and take internal accountability for their actions, rather than get stuck in another cycle of blame and confrontation. This looking inwards is crucial; it is what I attempted with my film. Did you show the film to Musharraf? What was his reaction? After I showed him the film, the one thing he said was that he had treated me like family all these years I was filming him, and he felt hurt that I included some scenes, such as the one in Washington DC. It was such a surreal moment for me. As a documentarian, of course, I am within my full rights to show the truth and I was not going to change a thing. On the other hand, he did treat me like family and for a while, I felt really guilty. But that was the very unique and strange position I was in: I may not have respected him as a politician anymore, nor was I blind to the very disastrous actions he had taken during his tenure. Despite this, I was still fond of him on a personal level. Aside from that one complaint, he enjoyed the film.